Claudia Tan has been in the Aviation Industry for over twenty-five years and has traveled extensively and embraced the world many times over. She was an editor of a weekly newsletter at a major U.S. airline, and was also a teacher in the Buffalo Public School System. While living in San Francisco, she bred Bullmastiffs. 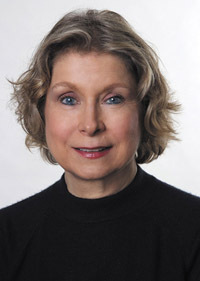 Claudia now resides in Forest Hills, New York, with her husband Robert. Tyler and Max are spirited twin brothers determined to find their way in the world-starting with their own neighborhood. Max has a vivid imagination and a yearning for adventure. Tyler helps Max distinguish the fine line between curiosity and the responsibility that comes with it. Fun and surprises await them as they venture out of their secure environment and glean valuable life lessons from their outings. 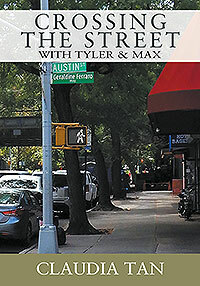 Tyler and Max learn first-hand what a vibrant and lively community they live in. They are grateful to Aunt Julie, Cousin Teddy and everyone along the way who shows them kindness and compassion. The twins bask in their success and newly acquired sophistication and are craving for more intrigue.